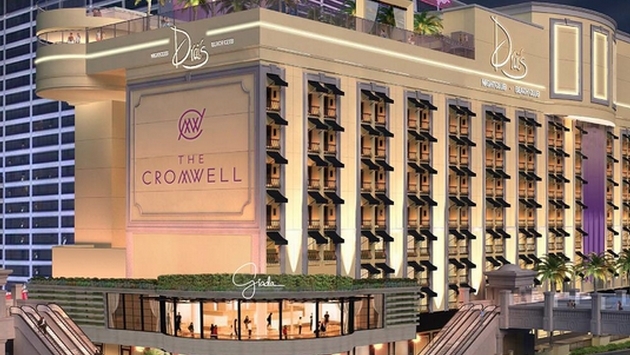 The Cromwell will be welcoming its first guests beginning May 21. The new Las Vegas hotel will feature 188 rooms and suites, as well as a 40,000-square-foot casino with 440 slot machines, 66 table games, and a reserved gaming salon called The Abbey. The hotel lobby bar, Bound, will feature coffees and pastries in the morning, then morph into a party spot at night. And the hotel bar and lounge, Interlude, will be a social gathering place featuring cutting-edge mixology. The Cromwell will also come complete with day and nightlife venues, called Drai’s Beach Club Nightclub and Drai’s After Hours. Drai’s After Hours will create an intimate and underground vibe. And VIP bungalows and cabanas will surround the 65,000-square-foot rooftop pool and nightclub. Celebrity chef Giada De Larentiis will open her first-ever restaurant at the hotel, entitled “Giada.” She will feature fresh pastas and a signature antipasto bar, as automatic retractable windows showcase prime views of the famous Bellagio Fountains and Caesars Palace. As far as suites, there will be 19 suites, ranging from 723 square feet to 2,550 square feet (the Cromwell Suite). Great views of the Strip will accompany the suites, as well as a full-size refrigerator, wet bars customized to the guest’s preference, steam showers and deep soaking tubs. And accompanying all of it will be a design featuring barrel vaulted ceilings and chandeliers repurposed from the original Bill’s Gamblin’ Hall & Saloon.